Is there anything better than when inspiration strikes? You know what I’m talking about! That moment where you sit up in the middle of the night with an idea. Something that you’re excited about. Something that’s going to change everything for you, your biz, and your audience. At least… you hope so! As entrepreneurs, having ideas is the best! I live for that lightning bolt moment. But if you’ve been around the block a few times, you know that not all ideas are created equal. An idea for a new online course or product can be an exciting time for your business, but it can also be a distraction or a time waster, especially if it turns out that people aren’t actually interested in this new idea! I have seen so many posts in FB groups and such lately that I just HAD to say something about this. I've seen people posting things like "Okay I just finished all my course content! Now what do I do to sell the course?" It hurts when I see those posts. They didn't know any better, but they did the whole process backwards. You NEVER want to create a course before you know if anyone is actually interested in your idea. You need to validate your new online course idea first. And honestly: actual sales are the only real form of validation. NOT surveys or "interview calls" or whatever else. Actual, real sales. Today I'm going to tell you how to validate and pre-sell your course idea BEFORE you create all the content for it. So many people spend months making course content then after ask "how do I market this?" Pre-selling your course is absolutely necessary to decide if your idea will work. With a little process I like to call the Rapid Validation Webinar. Okay. What the Heck is a “Rapid Validation Webinar”? A Rapid Validation Webinar is a way to quickly test your new online course to make sure it will validate (and makes some SALES!) without diving into a full launch promotion. The idea of a Rapid Validation Webinar isn’t to make all the sales… it’s to quickly test the viability of your concept without wasting three months on an untested product that no one ends up buying. You quickly determine if your idea is worth pursuing. You get a quick win if it validates… and potentially bring in some sales and make money $$$! Say goodbye to wasting weeks and weeks of time just wondering if that new course idea is going to be successful. 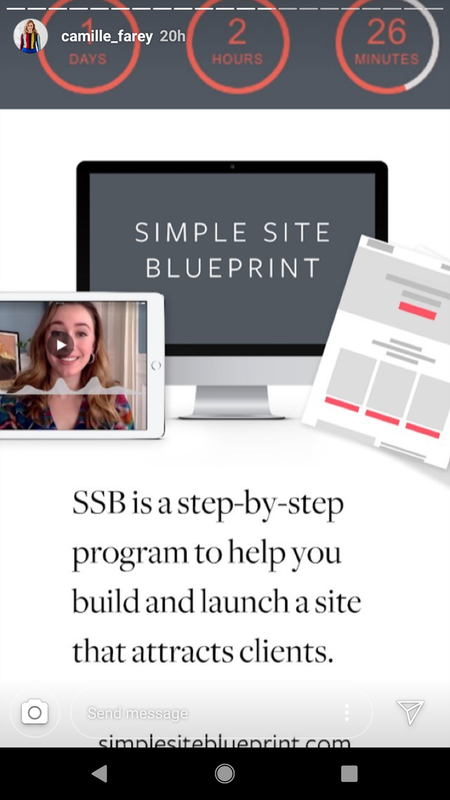 With a Rapid Validation Webinar, you can create basic resources (which will totally be repurposed again later if you decide to do a full launch), test your idea, and if you make those sales - you’ll know this is something you want to pursue further! The whole process of going from idea to pre-sale takes about 3-4 weeks (instead of months). We teach this entire method (with all the templates, scripts, calendars and weekly coaching) in our Accelerator program! Check out and apply to our Accelerator program here. Cami's goal was 5 pre-sales, she ended up with 19! Justine's goal was 6 pre-sales...she ended her Rapid Validation with 22 new students (and she had never sold a course before!). Cathy was hoping for 5-10 pre-sales...and enrolled 31 students! The very first thing our clients do is market research using our signature Copy Stalking process. We have spreadsheets and templates for this in both our Launch Your Signature Course and Accelerator programs . By doing this Copy Stalking research, our clients are able to figure out exactly which course idea their audience actually wants to buy. You'll settle on the idea that you will be validating and pick a name. It doesn't have to be perfect! This whole process is an exercise in getting over perfection, hence the "rapid validation". In order to know what course you are pre-selling, you'll outline your course content using our templates and systems. This is where you map out the big picture outcomes and results your students will get, the transformation they will experience or the skill they will learn and the major milestones you'll be teaching them to get there. When you do this process, you figure out exactly WHAT you are actually pre-selling. Again, it does not have to be perfect and it's okay if you rearrange modules or add more content to the course outline later when you are creating the course. At this point, you will just wrap your head around what you'll be doing if/when your course idea validates and you make the pre-sales you were looking for. 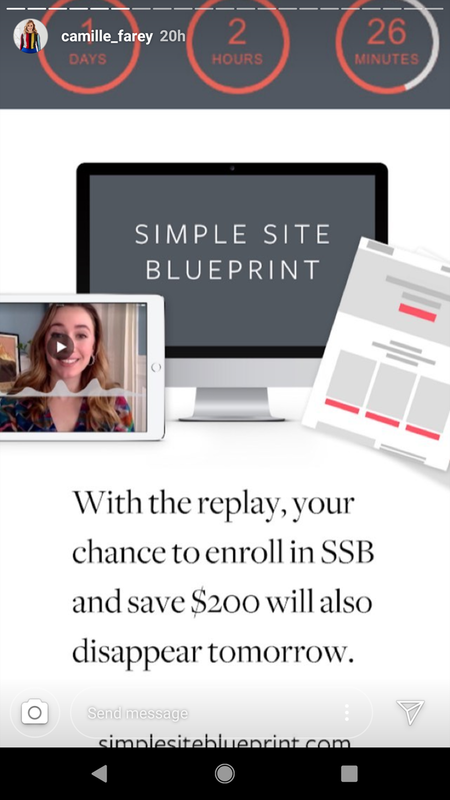 In our Launch Your Signature Course program we give you a week by week calendar of exactly what to do after your Rapid Validation Webinar so you can just transition seamlessly into the next stage: creating content and then moving into a more public launch. Now you start actually creating the webinar registration page, live webinar page, slides, a couple of emails - all the fun stuff! 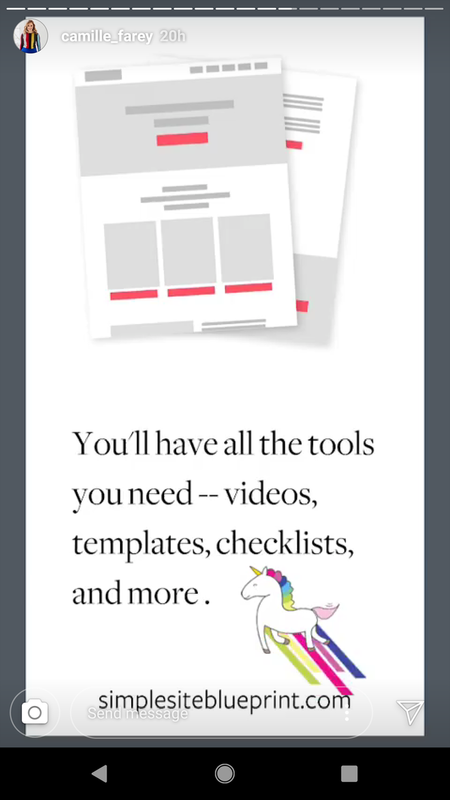 Inside Launch Your Signature Course, we of course give you the full templates and word for word scripts for everything, including a pre-made webinar slide deck you just fill in the blanks. The webinar topic is designed to attract your ideal students and the webinar itself pitches the pre-sale offer of the course. Just like a normal webinar, you'll promote your webinar registration page to your audience (email list, social media, etc) for 7 days. In Launch Your Signature Course, we give you a promotional calendar, email scripts, and strategies for getting people to register and show up! You'll set a goal for how many people you'd like to register for your webinar, to test interest in your topic. Here’s an example of how one of our clients promoted their Rapid Validation Webinar using Instagram Stories. You’ll use whatever platform you have an audience on to promote. This is the fun part! You'll deliver your live webinar with confidence (knowing you have all the tools and our support) and pitch your special pre-sale offer of your new course! After the live webinar ends, you’ll send the webinar replay emails to those who registered (and yes, we give you fill-in-the-blank email scripts for this!). The Rapid Validation pre-sale offer for your course is available for about 3 days. Our client Becky was doing our Rapid Validation process for her new course idea about how to start an Enamel Pin business (so cute!). 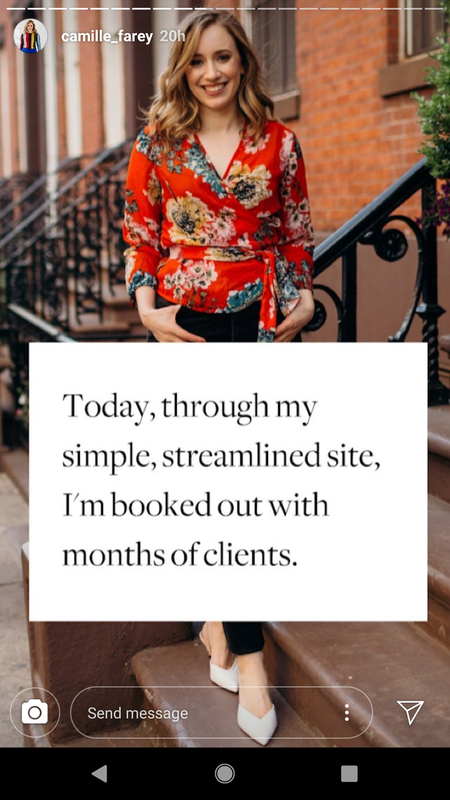 She had never sold a course or done a webinar before, EVER. Her goal for her ENTIRE Rapid Validation process was 10 enrollments. Well, she surpassed her goal of 10 pre-sales while LIVE on her webinar, enrolling 12 students during her Q & A period. Within a few hours after her Rapid Validation Webinar she had enrolled 16 students. And by the end of her Rapid Validation process (3 days)...she had enrolled 70 (!!!) new students into the pre-sale of her brand new course, and made $10k in the process. This is before she’s even created the modules! Pretty amazing for a small, simple validation process and just around 400 people registered for her webinar. After your Rapid Validation Webinar ends, you figure out your next steps. You're either celebrating your pre-sale and moving on to creating the course content for these awesome pre-sale students, or you might need to re-evaluate your topic and see if you need to pivot. The beauty of this process is in the simplicity, especially when this is your first course and first time selling like this. You do NOT need a big email sequence, a sales page, live streams, weeks of pre-launch content or any of that. Using this simple method, our clients have been crushing their pre-sales and are making revenue from their course within weeks instead of months. If you're ready to create and launch your online course the smart & simple way join Launch Your Signature Course.